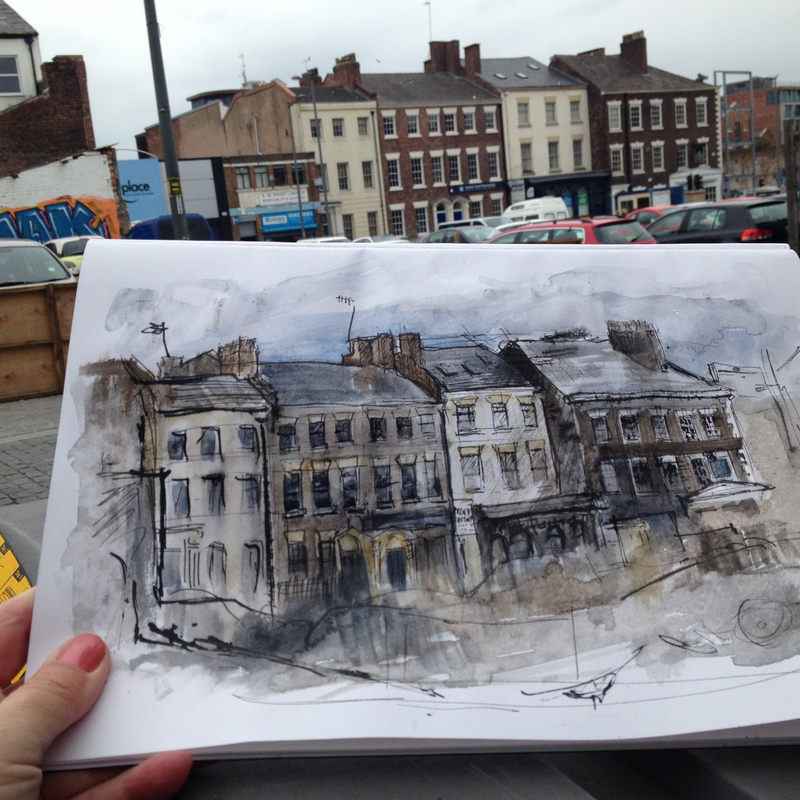 I’ve been out with Liverpool Urban Sketchers since the start of the year. 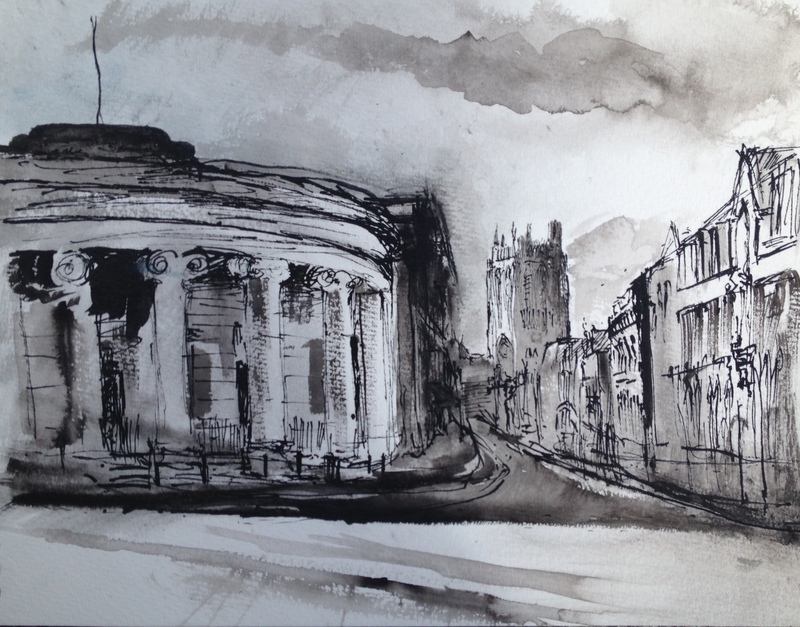 I have to say that drawing buildings was akin to sticking my head in a vat of boiling oil, but, like trees and water, I knew that pushing against my limits is always rewarding in the end. It is great fun meeting up with others – 10am on the first Saturday of the month at a different location each time – and then sharing our work over lunch. I was quite shy about drawing in public spaces but knowing other artists are around makes it so much easier. Artists come from all backgrounds and disciplines. Some are experienced, others are not, and I have learned a great deal. Friday 10 Apr 2015 to Sunday 10 May 2015. The painting above is called ‘Marine Life’ and is a mix of watercolour, acrylic and emulsion prints. For a while I have been thinking about the totality of my experiences when out walking, so that a single scene is insufficient to say much about a whole walk, although brilliant for drilling down into an experience. In this case, I’m bringing together a number of facets of walking around Wirral. It’s an experiment and one which terrified the life out of me, since I decided to created it during the week before handing in for the show. It could have gone horribly wrong, but it sold.